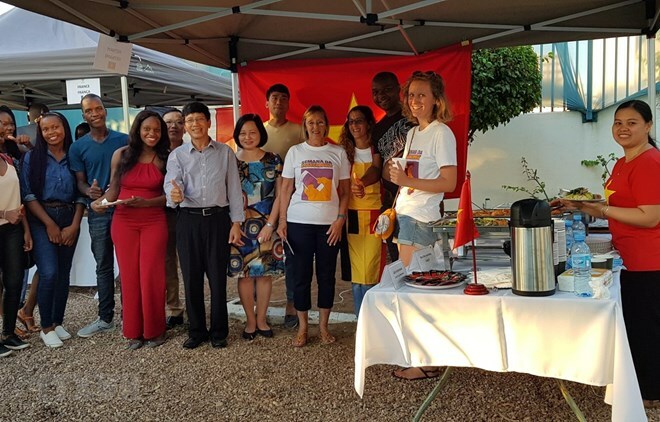 Maputo (VNA) – Various activities are being held by the Embassy of Vietnam in Mozambique to promote Vietnam and the Francophone community, during the Week of the French Language in the country from March 10-22. At a cuisine festival held on March 16, traditional Vietnamese dishes, including nem (spring rolls) and banh tom (deep fried shrimp cakes), were served by staff of the Embassy and Vietnamese restaurants in Mozambique’s capital Maputo. Earlier, award-winning Vietnamese movies were screened at the event, telling the stories of Vietnamese women before and after the country’s revolution, such as “Yen’s Life” by director Dinh Tuan Vu.